I’m heading out on a trip in the coming weeks to New York City, and during these dragging days of spring, I’d been looking for some fiction to read that is set there, in order to hold me over until my actual trip. The story takes place in Manhattan’s Lower East Side and revolves around the late night random shooting of a young bartender. 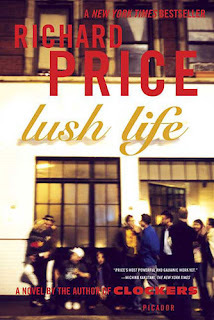 The world of Lush Life is vivid and detailed, its characters three dimensional and lifelike. Price presents several Lower East Sides: that of working-poor immigrants, packed together in small apartments; of young, privileged artists and up-and-comers; of police officers who work the district every day but come from all over New York; and of residents of the projects on the edge of gentrifying neighbourhood. Price’s story is not an action packed race to an all-is-revealed ending, rather it is a character piece that takes us through the competing interests of contemporary Manhattan, using the murder as a means to tell another story: a story of life in modern America. So, as a piece to get me ready for a trip, a novel about random street crime was a poor choice. But as a piece of literature, this was a find. I’m not much of a reader of genre fiction, but this struck me as somewhat different from your standard crime novel. There is no mystery, there are no chases or similar dramatic action, but there are people and stories and a place - all drawn remarkably well and a climax, as described by Publishers Weekly magazine that is “both expected and shocking”. If you are a fan of the gripping drama of the television show The Wire (which Price was also a writer for), you’ll find this book worth a visit.